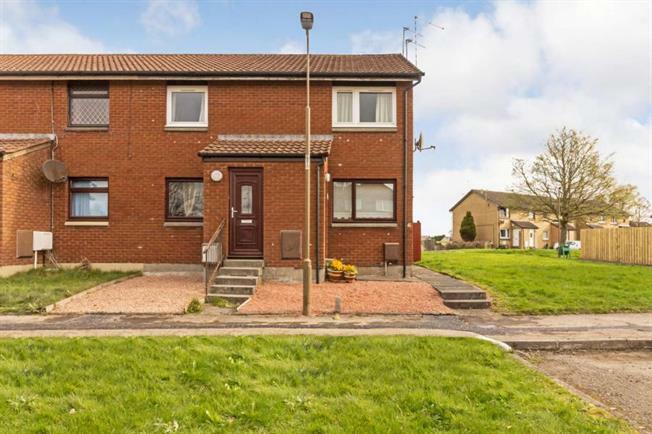 2 Bedroom Ground Floor Flat For Sale in Stirling for Offers Over £105,000. Located in the sought after Broomridge area of Stirling, the agents will recommend immediate inspection of this modern main door ground floor flat. The home is offered in excellent condition and offers accommodation of: entrance porch, a bright and spacious open-plan lounge and modern fitted kitchen, two well-proportioned bedrooms with bedroom one benefitting from built-in wardrobes and a stylish family bathroom. The home is warmed by gas central heating, boasts double glazed windows and to the rear there is a well maintained low maintenance private garden. The property benefits from an allocated parking space. The property shall be sold with all white goods included, as well as the leather sofa and double bed frame - making this a fantastic buy for the first-time-buyer or buy-to-let investor alike. Maurice Avenue is located in the popular Broomridge area of Stirling and provides swift access into Stirling city centre where there are on offer an excellent range of amenities and high street shopping. For those who have to commute for business, the area is well provided for by the national road network system and public transport services for ease of commuting within the Central Belt. Please refer to Home Report for EER Band.